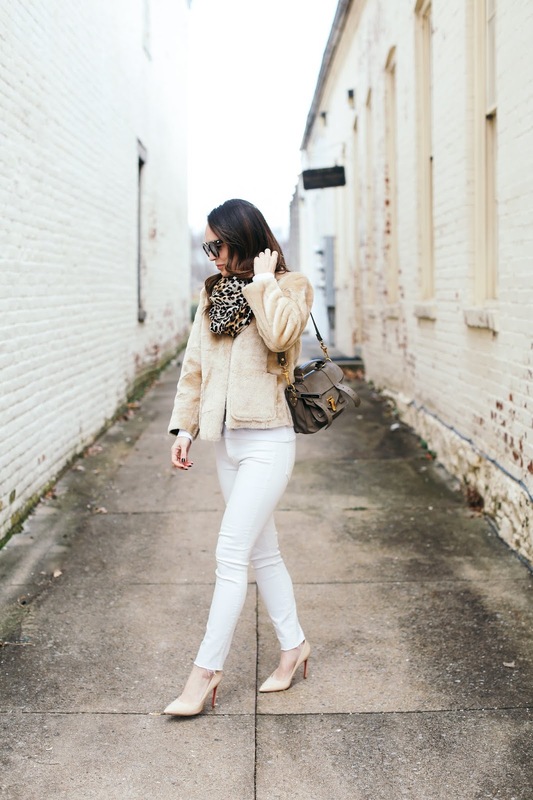 I recently wore my white Staud bag in this post and it inspired me to pull out my white jeans and style them for the winter. 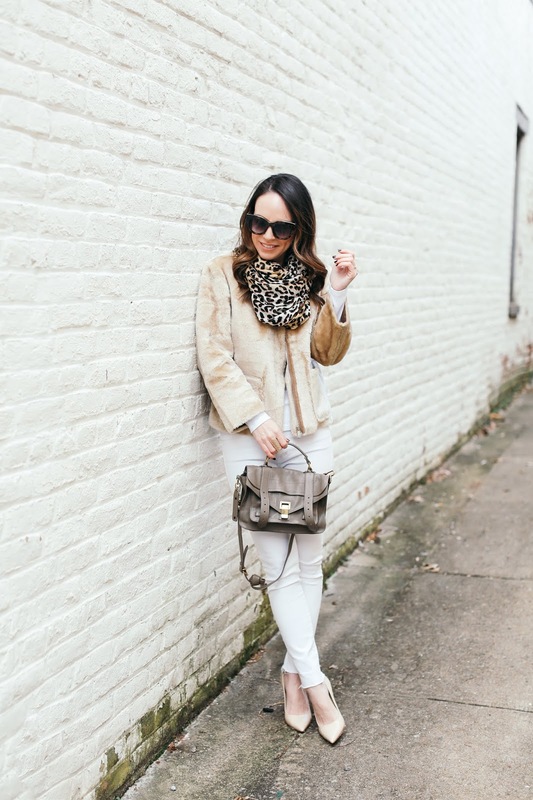 I wore this outfit the other day and was loving the all winter white look that I had created with a bit of leopard and a darker neutral thrown in. I tried to wear a beige scarf with the coat and it was too much beige for me. 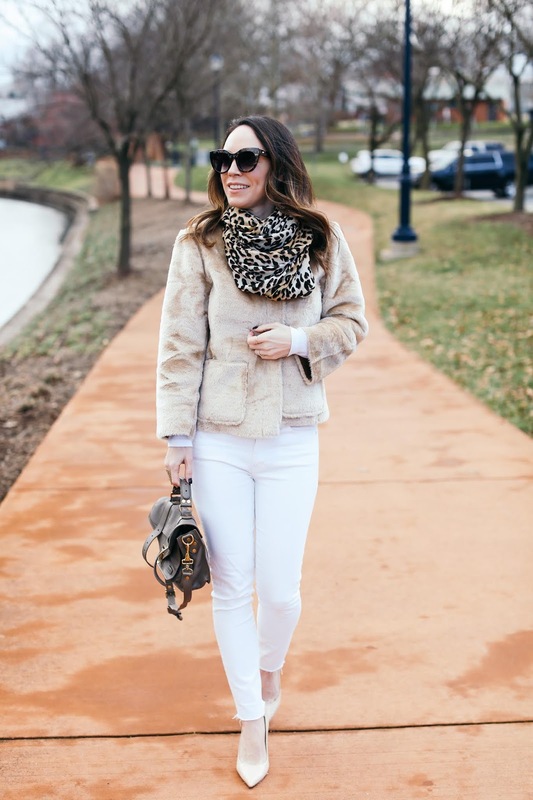 (Never thought I would utter those words LOL) I personally prefer white jeans worn with lighter shades in the winter rather than black or any dark colors, so this faux fur jacket was the perfect piece to pair with them. I can't end today's post without sharing that I finished the S-Town podcast last night and really enjoyed it! I thought there would be some underlying sinister plot after all was said and done, and was left wanting a bit more from the story but nonetheless it was really entertaining. Actually entertaining may be the wrong word since the subject matter is dark and depressing, so I will go with interesting. It kept my attention. I didn't want it to end. I haven't found any good podcasts since finishing Dr. Death so this was a great one to get into. What podcasts do you love right now and would recommend?